I just love cold salads in the summer. Here is Texas, it’s in the 100’s and way too hot to cook. Salads are so easy to throw together and don’t cost a lot to make. You can find many of my salad recipes in this post. So I was looking for recipes on Pinterest when I came upon The Clever Carrot’s Bean Salad. If you haven’t checked out her blog, you should. Her recipes are great and her photos are stunning. I LOVED this so much, that I wanted to share it with all of you. I am more of a baker than a cook, so I often look on Pinterest for things to make during the week. This salad was so good, I wished I had made a double batch. I made a few alterations to use what I had on hand. Drain and rinse beans if using cans. Add all the ingredients in one large bowl. Add the dressing ingredients in a small bowl and whisk together. Pour the dressing over the ingredients and mix well. This makes about 4 servings. It should last about 4 days in the fridge. Enjoy! This looks amazing, esp for those who shun the stove during th AZ summer! Did you eat it right away or let it chill out in the fridge awhile? This looks so delicious!! Love the honey and balsamic combo. OMG, I think I'm the only crazy one baking banana bread in this weather. :) I love Clever Carrot's photos too. So full of light. Foodgawker's dream. :) Very simple salad! Ah, you know what. FG is hit and miss sometimes. My last soup got rejected yesterday for sharpness reasons and got accepted today. I tweaked the photo a bit (enlarged) but trust me sharpness didn't change. :) Yep, got accepted. Whatever. I love your blog and photos and can't win everything. Thank you. I've been working on my photos a lot and I finally found the balance. I think. :) The balance for me and FG to be friends. :) We used to hate each other. LOL. I know the feeling. I have tweaked and resubmitted several photos. I actually like that they are picky, because it had driven be to be a better photographer. I really enjoyed this salad. I blanched the beans and pepper for just a minute and added some tomatoes. Delicious after chilling in the fridge, thank you. Thank you for a wonderful recipe! Just made this today, and it came out GREAT!! Made it in the morning, then tonight took it out of the fridge, mixed some in with some Quinoa and then put that mixture on a bed of arugula. VERY good!! ...I may go back for seconds! LOL!! You're so welcome Maryjane! Happy you enjoyed it. I just want to say thanks for the recipes. I'm trying to become vegetarian, and this would help me out a lot. If anyone have any fast easy dishes that I can make email menor send them to me it would be greatly appreciated. 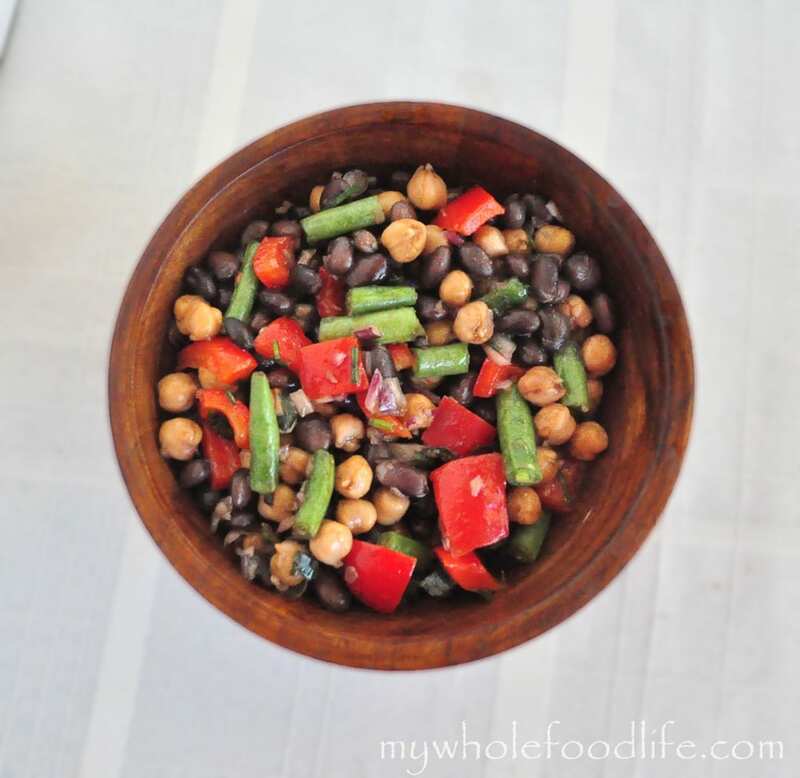 The Honey Balsalmic Bean Salad looks delicious, I'm making it this weekend!! for this recipe do you use raw green beans or do you blanche them? thanks! Love your website! I used raw, but you can also blanch them if you like.